Taylor Swift did it. She deleted her Instagram account before re-emerging with a newly refreshed persona. The tactic was part of a campaign for her new album release, but shows a good point: sometimes your accounts just need a refresh. Here’s how you can refresh your Instagram account in 10 simple steps (and maybe even feel as diva as Taylor Swift in the process). When planning an Instagram refresh, the first step is to think about who (and what) you want to be and be known for on the social media channel. Do you want to be known as a designer or maker? Curate images on Instagram that showcase that ability. Tweak your profile information to say who and what you are and what’s important to you. Include a URL to your website. While Instagram isn’t the best place to create conversions, it can help you build a brand following. The first step is to establish what you want that brand to be. Whether you plan to post photo or video or a little of each, pick a go-to app or filter. From Instagram’s own Hyperlapse or Boomerang to other add-ons, there are plenty of ways to add a little something extra to posts. Then consider using a signature filter every time. This consistent strategy helps establish professionalism and lets followers know what to expect from you. (Looking for the perfect filter? Try popular options Mayfair, Inkwell, Amaro, Walden and Lo-Fi, which tend to generate the most likes. Designers who use Instagram should include a good showcase of graphic elements, but it can be a little personal too. Users would rather interact with other people than brands. Consider using a photo as a profile image and mix in photos of work with real life. If the image is not of top quality, don’t post it. Nothing will ruin your Instagram profile like poor quality images. Every image needs to be sharp, in focus and amazing every time. While many of the algorithms mix up posts, users still like to have an idea of when they will see images from you. Set a routine for posting – daily, every other day, etc. – so that you stay in the feeds of followers and on their minds. Part of that routine might also include actual interactions with followers. Respond positively to comments and messages. Just posting and falling off the grid won’t help develop the social conversation that this platform is designed for. Hashtags can be your friend. Use them well. Sounds easy, right? It can be a little tricky. To avoid hashtag disaster, stick to one or two hashtags (maximum!) per post. And they need to be relevant. If you post an image from yesterday with #tbt, you’ll feel like a fraud; post a project from college for success. Mix it up as well. Use common hashtags to interact with the #design and #webdesign community, but follow and use trending elements if they are relevant as well (#nofilter is always a win if you get just the right image and post raw). Growing your Instagram brand includes following, liking and engaging with other designers on the platform. (This post includes 10 great accounts to follow if you want to start engaging right away.) The network connects you to other similar Instagram users; the bigger the network, the more suggestions and linkages you will make. But don’t be a jerk. There are enough trolls on social media already. Engage in positive and useful conversations. If you don’t have anything nice to say, don’t say anything at all. Match your Instagram design aesthetic to your personal tastes with a go-to color palette or photo style. Anthony Burrill, above, does this masterfully with a curated typography showcase on white backgrounds. Users will come recognize the “brand” of photography when his work appears in their feeds. While Instagram is a visual medium, it does include text. Make sure to include well-written descriptions for photos and use keywords relevant to you and your work. Keep a list of top keywords that are important to you, if necessary. Think about keywords that can help you expand your repertoire as well. Not only is Instagram a good place to show off your current projects and style, it’s also a playground to help you develop, learn new things and become who you aspire to be as a designer. Just be yourself. If you are quirky, that should show on Instagram in the photo style you choose to display. Authenticity is the key to finding the most success – and having the most fun – on social media channels. Other users are most likely to connect if you are who you are. The design world is wide open on Instagram and you are sure to find plenty of like-minded designers to connect with. Be open, honest and real to find your tribe. The reality of finding success on any social media channel is that it can take a lot of work and even more luck. Don’t expect your favorite image to go viral overnight just because you like it. 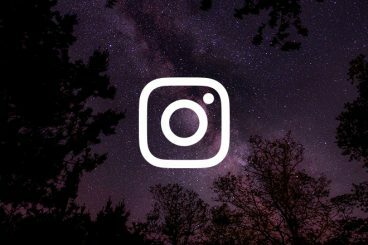 It takes time to earn a following and Instagram is unique in that there’s not a lot of call-to-action directed traffic. It really is rooted in small interactions. But you can curate an account that showcases your design style and projects and helps cement your place in the Instagram design community. Learn how to supercharge your Instagram account. Craft beautiful posts and updates, improve your branding, find templates, and use Instagram in a new, creative way!